As a business owner, you know the challenges behind managing a business, especially a field-service company. Our writers have developed 5 unique strategies to make sure that your management is both successful and time-effective. Here are some ideas on how to handle your business while you are away. Persistent communication with your crews is vital. Our number one suggestion for your business management is to keep in touch with your employees on a regular basis. This is one of the most important tips to follow when you’re trying to manage your business on the go. According to Good Boss, Bad Boss: How to Be the Best... and Learn from the Worst one of the key aspects of running a successful and profitable business is to have a well-developed communication strategy. Being away from the office, shouldn’t mean that the working process is done. Quite the opposite, your employees need to have regular contact with you so that organization and management stay on the same path. This relates as well to your contractors, customers, suppliers, and other parties. 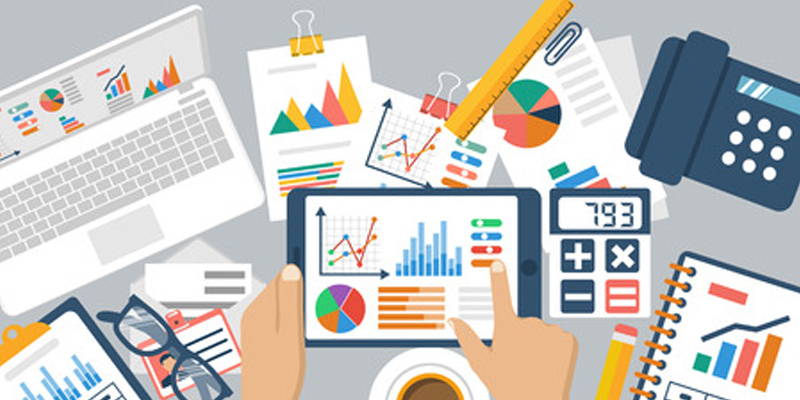 The right tool will enable you to quickly and efficiently track your business. 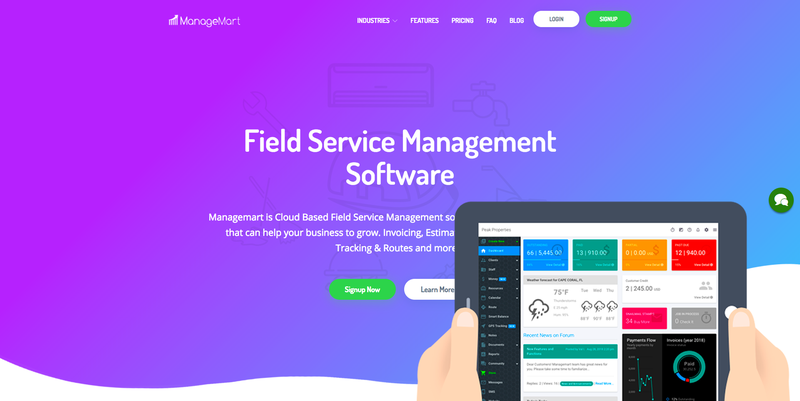 Using ManageMart, you can communicate with your team through internal messaging or scheduling pages, and track the progress of field service online. Have you ever used management software? It is better than having a personal assistant! The software allows you to sync all the management into one program and deal with it remotely. As an example, ManageMart can handle not only your scheduling, but also routing, invoicing, accounting, and many more. Employee management is much easier when each of your worker has their own page and can see direct tasks from the head. You can also stay on top of your resources and capital. Having access to all the data in just one place will allow you to minimize the efforts and time while maximizing your efficiency. Let your workers know about the working hours while you are away. You don’t want to be bothered every single minute while you are with your family on vacation. Thus, setting boundaries with your employees should be a priority. Remember to identify that fine line when you can be reached out and when it is better to email or call you later. As a business owner, you should be always available in the case of an emergency, yet you don’t have to take care of every single little detail. Setting those boundaries and expectations will make your management much easier and less stressful to handle. Job satisfaction is highly important since it establishes general atmosphere on the workplace. You don’t want your employees to think about you as a planning freak. If you are away from the office, chances are you have other commitments. Instead of worrying about each task and its completion, let others do that for you. Find trusted employees who could be in charge of the processes. You need to be willing to delegate the work. When you’re looking to manage your business while you’re away from the office, you also need to be willing to delegate specific tasks. Having all the control may affect the job satisfaction of your employees as well. Finally, delegating tasks will save you time and efforts, which is always a great benefit. 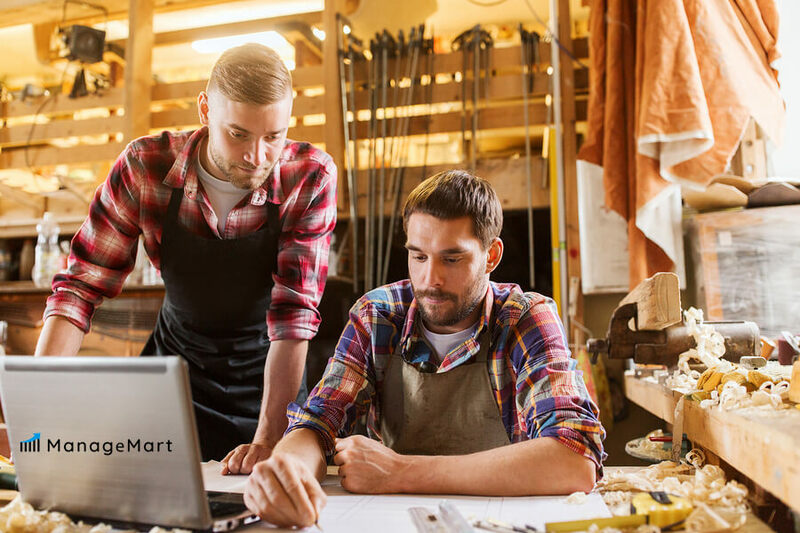 With ManageMart, you can easily assign people in charge, and check the progress anytime. You will also receive push notifications when the job is done. Last but not the least, always spend some time reflecting. Just as you ask for some progress from your workers, they also expect that you grow with them. Learn from your mistakes and experiences and always stay flexible. You should keep track of what affected the better performance on that particular day or why your client was more satisfied than usual. Reflection will give the right expertise and insight into how you can improve your management. You might as well use reports created by ManageMart to find some outliers in the data and observe what exactly happened while you were away from the office. Running a business is a holistic process, and management should be your key advantage and tool for maximizing outcomes of your work. We hope that these strategies can help you to get better organized and bring your business management to the next level.